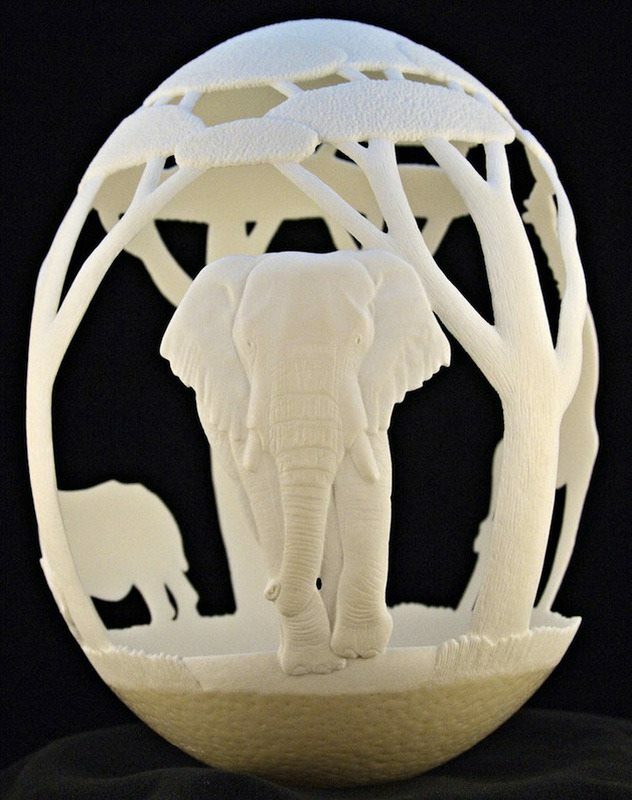 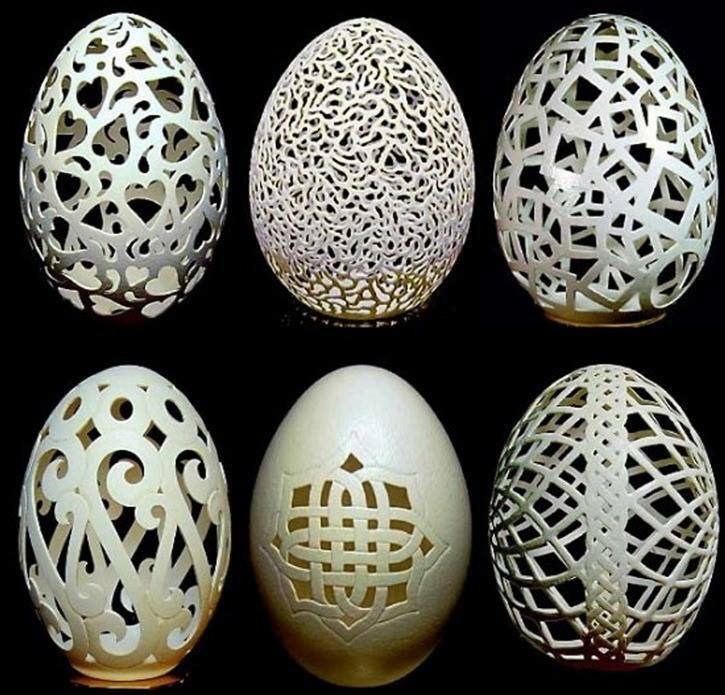 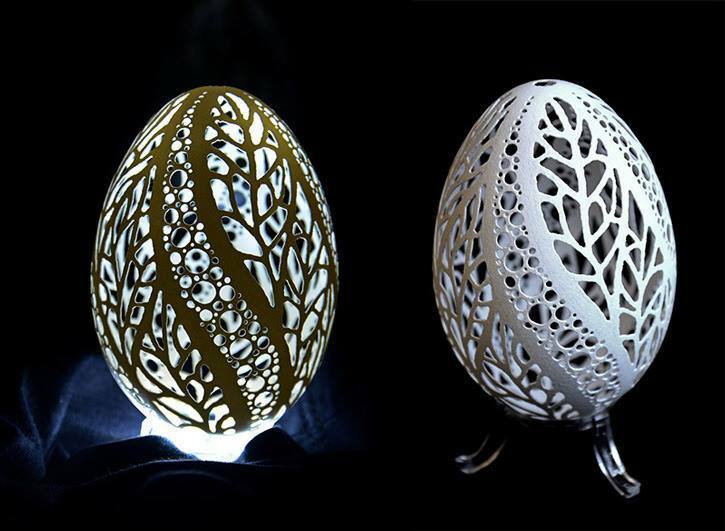 Chinese artist Wen Fuliang of Shaanxi Province - intricate and precious - egg shell carvings. 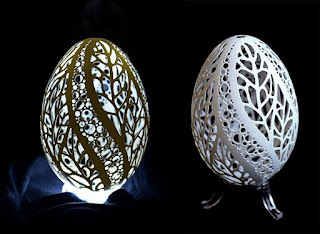 Chinese artist Wen Fuliang, of Shaanxi Province, was laid off from his job ten years ago as a wood carver and turned to the unusual and skillful hobby of creating intricate sculptures from “egg shells” to make ends meet. 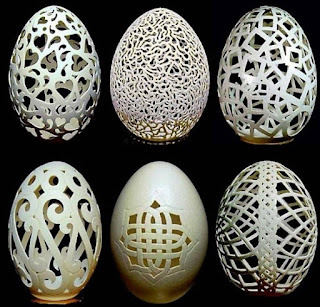 He uses chicken, goose and duck eggshells for his painstaking artistic creations carving out animal designs and places of interest, such as the iconic Dayan Pagoda in Xi’an.